This short video work will be premiered with live dance performance elements at Toitu Otago Settlers Museum on this coming Saturday, 21st June. Following that, a video only version of the piece will be presented online and sent to festivals. 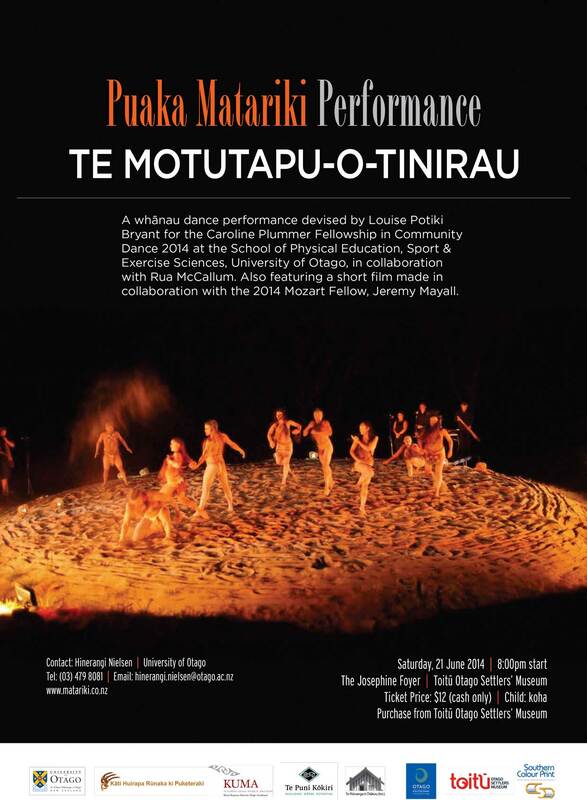 This entry was posted in films, Mozart Fellow, Music and tagged caroline plummer community dance fellow, contemporary dance, louise potiki bryant, mozart fellow, otago, otakou, tinirau by jeremymayall. Bookmark the permalink.